Have you ever thought 'What if'? I'm pretty sure most of us have had a situation where we will always wonder what would have happened if we had done something a bit different. Laura Barnett explores this idea in her latest novel, The Versions of Us, as we follow the story of Eva and Jim, and the three different versions of what could have happened in their lives. I love the idea of this novel but it took me a while to get into the stories. It's great at the start and you learn a lot about the traits of characters Eva and Jim through their three initial meetings, but it's when time ticks on and we meet other characters that it starts to get a bit tricky to understand. It is a bit like reading three different books at the same time, but only reading a chapter of each each time. You end up a bit jumbled and I often had to skip back to previous chapters to remind myself which version I was in. Having said that, I really did enjoy this novel. It's full of twists and turns, often leaving the reader wondering how Eva and Jim will turn out as each version is so different. It's a bit fairy-tale-esque as they do keep bumping into each other and the choices they make often mean that their paths cross. I like that I didn't like Jim. You think he is great at the start but, without revealing too much, he turns out to be quite a troubled character that struggles with his past. Eva, on the other hand, I started out hating but in the end loved how she developed as a character. She is the strongest character and I just love how realistic her decisions are - she shows that you can't always get what you want and you have to make sacrifices for others, but still has huge success in career and social life which is a nice quality for a female protagonist. I really liked the cultural parts to this book too; it's set between 1958 up to present day and Barnett captures little aspects of the times really well, from the outfits right up to the music the characters are listening to. I also enjoyed the families of Eva and Jim, especially Jim's mother who is a really interesting and complex character who depicts various stages of battling mental health and the effect this has on her family. 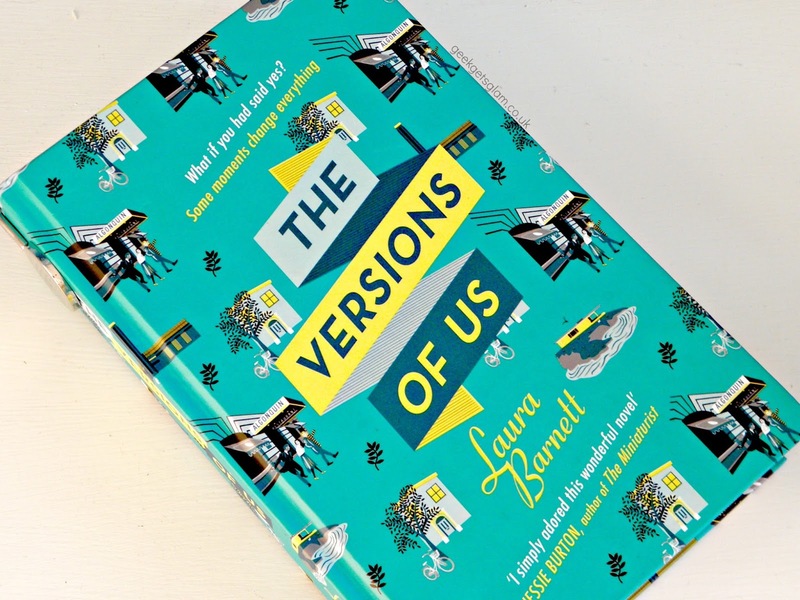 If you're after a love story that's a bit more complex than your average rom-com, The Versions of Us will be an ideal read for you. It's not over-the-top romantic and actually proves to be quite a deep book. It really made me think how little events can cause life-altering effects and, reading this book, you just can't predict what will happen next. A lovely read, perfect for cuddling up with in this winter weather!